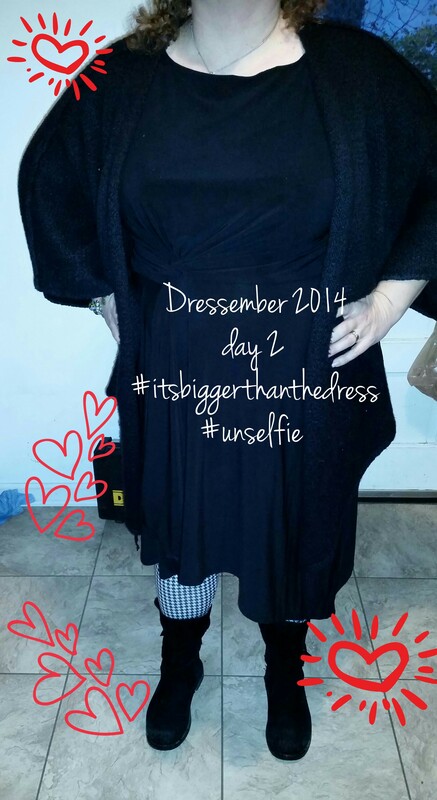 I saw another #dressember participant post an #unselfie. It was essentially a headless picture of herself. Interesting that I saw it the day after yesterday’s post. My post that was all about me and how I was having a serious struggle with posting about myself “-ness”. So, today I had my husband take the picture of me without my head. So there you go! My first ever #unselfie. I feel so much more confident about today’s picture than I did about yesterday’s. Also, I love my houndstooth leggins. I want to make certain during this Dressember that I make a difference and that people notice that this isn’t about me but about the cause but most importantly that the cause is about PEOPLE. People who are loved and important. People who need to have a voice. People who have a face and need to be recognized. I got an email from the Dressember organization. It was a story about a person who was freed from slavery because of people who cared enough about PEOPLE to do something. She is now working, legally and of her own volition. She is married and happy. These are the people I want to be noticed when I wear a dress. Everyday in Dressember I am thinking about and praying for the people will be reached because of this fundraiser that I (among many others) chose to participate in. You can participate too. It isn’t too late. Check out IJM or my Dressember donation campaign. Together we can help PEOPLE be free and live a life worth living.